Heat oven to 350°F. Line cookie sheet with cooking parchment paper or silicone nonstick baking mat. Unroll dough; separate into 8 triangles. Flatten dough triangles slightly. Place 1 tablespoon hazelnut spread on shortest side (wide end) of each triangle; gently spread in straight line across wide end. 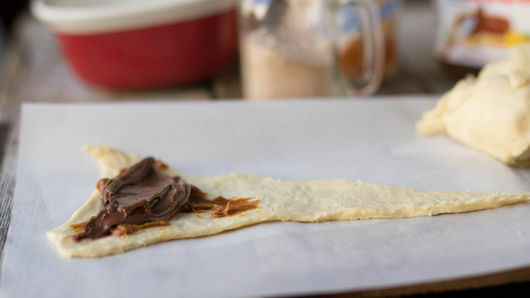 Spoon 1 tablespoon dulce de leche over hazelnut spread on each triangle; spread gently. Starting with wide end, roll up each dough triangle to opposite point; pinch ends to seal so filling does not escape. Place melted butter in shallow dish wide enough to hold crescent roll; place cinnamon-sugar in separate similar shallow dish. 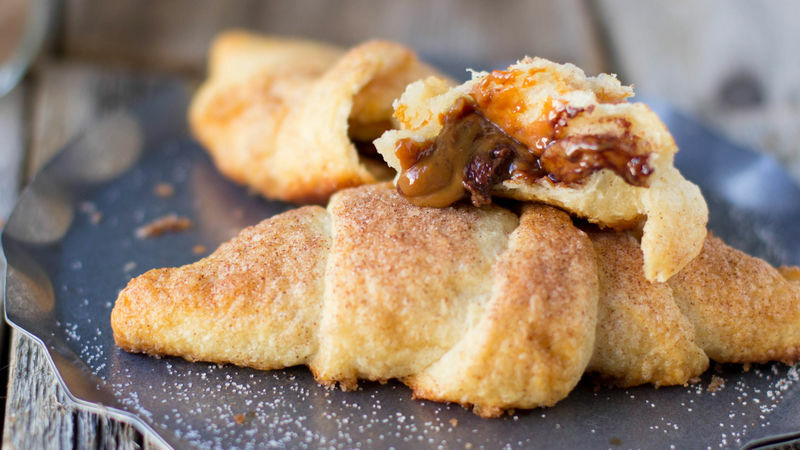 Roll crescent roll in butter; roll in cinnamon-sugar to coat. Place on cookie sheet. Bake 16 to 20 minutes. Cool on cookie sheet 1 minute. Remove from cookie sheet to serving plate. Watch the crescent rolls to make sure that you pull them out of the oven before they get too brown. Add berries inside for a fun twist.